If you are looking to turn off and mute the annoying Mac startup sound, a new application called Volumify has been launched on the Mac App Store. That allows you to easily disable the startup sound in OS X Lion, allowing you to reboot and turn on your Mac without letting everyone around you know. The new Volumify application not only mutes your Mac startup sound, it can also be configured to act differently in various locations. For instance if you only want to your Mac startup sound turned off in lectures, its ease to configure. 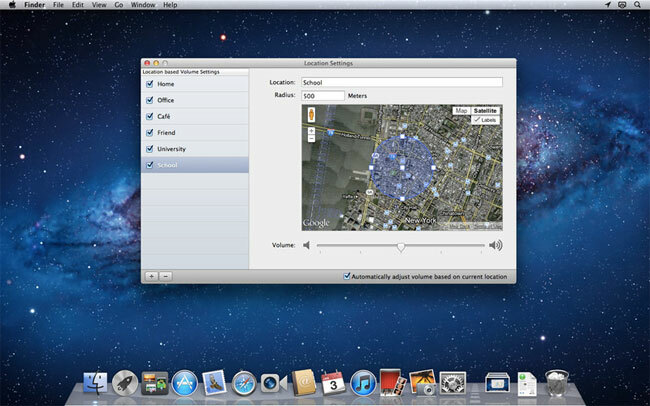 Volumify features include: Automatic volume adjustment based on your current location, Automatic detection of locations, Configure individual locations and determine the system volume for these locations, Customise each location’s radius to account for large buildings or sites, Turn off the Mac OS X startup sound. Sure there are other ways to turn off and mute your Macs startup sounds, but Volumify makes the process so simply and for £1.99 is a bargain, to have easy control over that annoying Mac startup sound.